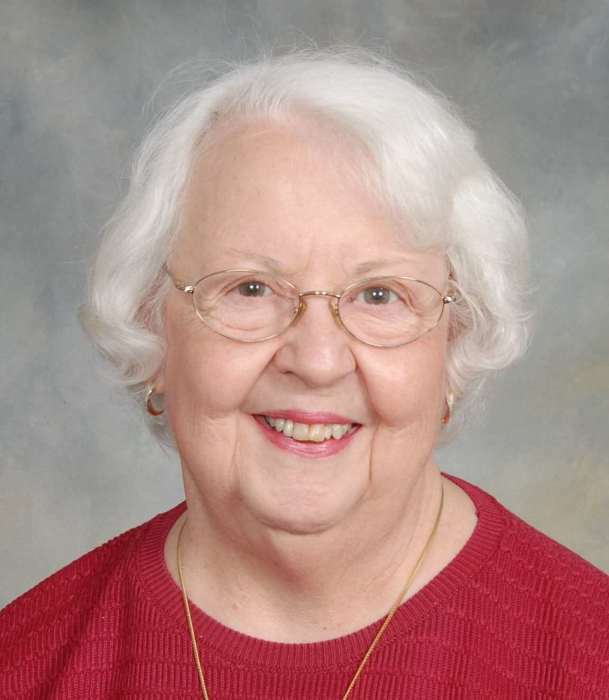 Janet Farthing Norris 85, of Mebane, passed away October 24, 2018 at the Presbyterian Home of Hawfields. She was preceded in death by her husband of 49 years, John B. Norris. Janet spent her childhood years in the Bethel community of Watauga County where she was born to the late John Perry Farthing and Mary Jakie Clay Farthing. She lived all her adult life in Mebane. She furthered her education at Technical College of Alamance (now Alamance Community College) where she received an Associate Degree in Business. She retired from White Furniture Company after 30 years. Janet was a member of the First Baptist Church in Mebane where she especially enjoyed her Sunday School friends. Janet is survived by three children, Sheila (Eric) Frederiksen of Mebane, Gary (Phil Adams) Norris of Boone, David (Teresa) Norris of Leasburg and sister, Sara Farthing of Liberty; four grandchildren, Sheena Gafos, Sean Norris, Scott Norris, Allary Fitting; step-grandsons Karl Frederiksen, Kurt Frederiksen and one great-granddaughter. Janet was predeceased by her brother, Gene Farthing. A memorial service will be held at 11:00 Saturday, October 27, 2018 at First Baptist Church of Mebane with Sammy Ballard officiating. The family will receive friends following the service. McClure Funeral Service in Mebane is assisting the family. The family extends their appreciation to the staff and residents at Presbyterian Home of Hawfields for their loving care and friendships for our mother. In lieu of flowers, memorials may be made to the “Operation InAsMuch” Ministry of the First Baptist Church of Mebane at 301 South Third Street, Mebane North Carolina 27302 or to Presbyterian Home of Hawfields, 2502 South NC 119, Mebane, NC 27302.